Archinect.com is like the Monster.com of architecture industry except a lot more reputed and better with portfolio profiles of students and professionals etc. They have a feature series on their website called "Working Out Of The Box". The last person they interviewed before me was Pinterest co-founder Evan Sharp. Here's me. 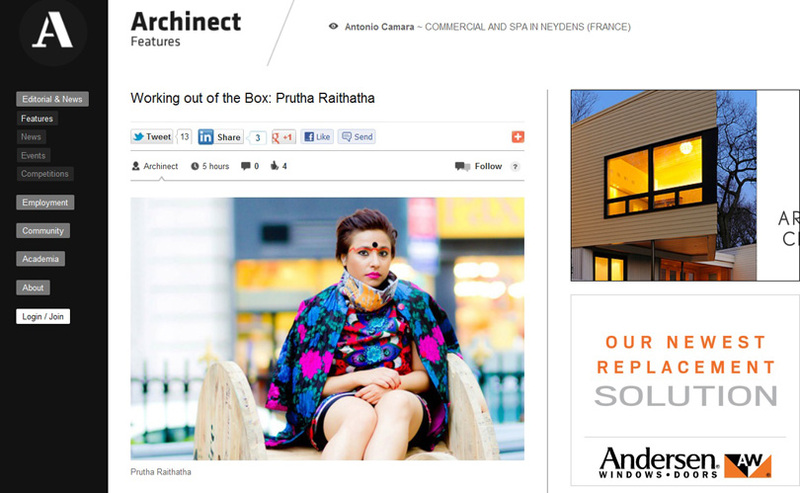 Thanks again Archinect for including me! Very nice. You look great in the photo.